Kerala is the land of unending palm groves, pristine sandy beaches, sprawling tea plantations, rolling green hills, calming backwaters, mouth-watering cuisine and much more. Situated between the Western Ghats in the east and the Arabian Sea in the west, this land is blessed with abundant geographical and cultural diversity. How this tiny strip of land holds such divine natural beauty and cultural heritage is a wonder in itself. 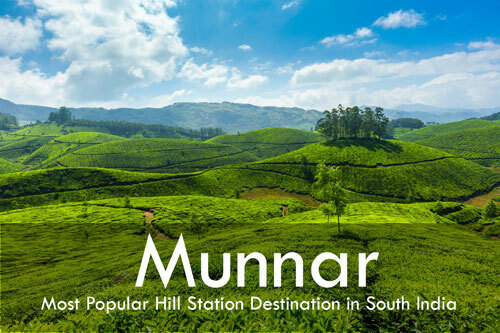 Munnar needs no introduction to the seasoned traveller. The most favoured destination in Kerala, Munnar is situated at a height of 1600mts above sea level. Located in Idukki district, it is a slice of heaven with endless tea gardens, winding narrow lanes between the mist covered mountains and the spice scented fresh air. This little town attracts tourists from around the globe all through the year. The tea estates, Mattuppetty Dam, Eravilulam national park etc. are just some of its attractions. Above everything else is the calm and relaxed quality of this land that engulfs you in its arms leaving you with a desire to experience more of Munnar, and that is why one bids adieu to this place with a promise to visit again. Known for being home to the country’s largest Tiger Reserve, Thekkady is one of the most sought after jungle vacation destinations in Kerala. Located near the Kerala – Tamilnadu border in Idukki district, Thekkady is frequented by domestic and international tourists alike. The sanctuary is the most important attraction in Thekkady. 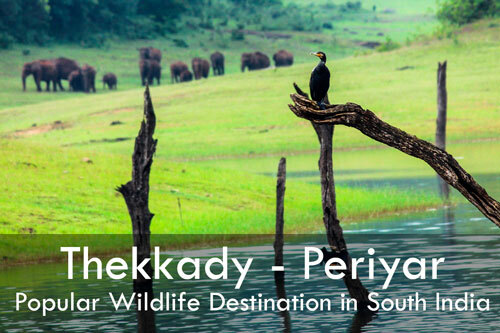 Spread over an area of 777 kilometer square, periyar Wildlife sanctuary was declared a Tiger Reserve in 1978. The reserve is accessed by trekking, boating and Jeep safari. These evergreen jungles house a number of species of plants and animals including more than 60 species of mammals, 265 species of birds, reptiles, amphibians etc. Bamboo rafting in the catchment area of Mullaperiyar Dam, hiking in the wilderness, night trekking, boating etc. are experiences of a lifetime. When we count beaches in Kerala,Kovalam stands number one both visually and in terms of tourist inflow. Situated just 13 kms away from Trivandrum, Kovalam has its fair share of tourist spots apart from the beach including the light house, Karamana river, Vellayani lake, Valiyathura pier, Kovalam art gallery, Thiruvallam Parasurama temple etc. The falcate shaped beach, its stunning blue waters and white sandy shore makes this place a must visit pit stop in your trip to Kerala. The waters are calm and is ideal for a swim or you could relax and sun bathe on one of the lounge chairs. Apart from sightseeing swimming and enjoying the lip smacking cuisine, Kovalam also offers adventure sports such as diving, parasailing, windsurfing etc. Bekal,a small town in Kasaragod district,is not just a known tourist location of the state but also a land with many stories of the past. The ancient fort, extensive beaches, numerous estuaries all set in the rich cultural backdrop, attracts tourists and travelers alike. 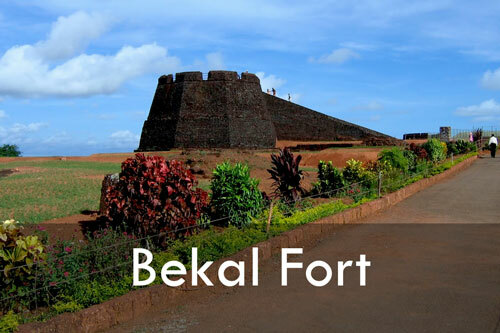 Situated in Bekal is Bekal Fort,the largest and best preserved forts in Kerala. The 300 year old fort built in the shape of a giant key hole offers an amazing view of the Arabian Sea from its observation towers. The beach surrounding the fort is perfect to spend an evening taking in the calming sea breeze, watching the breathtaking sunset. One can take a walk along the walkway built for tourists to enjoy the panoramic view of the Bekal Fort. This sleepy little town is thus an emerging tourist hotspot. Once the capital of Zamorin kingdom, Kozhikode was also renowned as a commercial center, in its earlier days. Blessed with natural beauty and cultural and historic significance, this is a land of warm and welcoming people, tales of lost grandeur and delicious food. Its green country sides, tranquil beaches, historic sites, wildlife sanctuaries, rivers and hills are sure to attract tourists from far and wide. Thusharagiri waterfalls, Kappad beach where Vasco da Gama set foot in India, Kuttiyadi dam one of the biggest in Kerala, Regional science center and planetarium, Mananchira square are some of the attractions in Kozhikode. Talk about Kozhikode and not mention its food?! Not possible. The kozhikodan Halwa,Kozhikodan biriyani, Kallummakai, Unnakkai etc are just few of its lip smacking delicacies. Also known as the Venice of the East, Alleppey is the hub of Kerala’s backwaters. With its picture perfect lagoons, mirror still backwaters, calm beaches, it is a land of watery wonders. Its intricate grid of canals and how the life here is deeply interlinked with its waterways is just amazing. 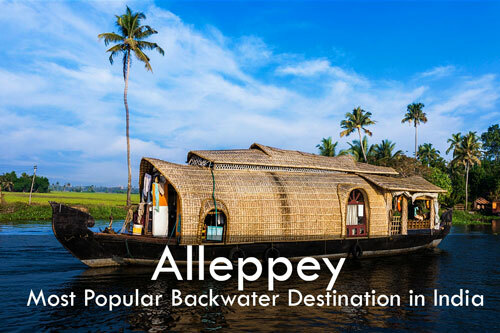 Home to thousands of house boats, Alleppy is the best location to spend a weekend floating in its waters, witnessing the breath-taking beauty this land is blessed with and enjoying the freshly cooked fish and duck in authentic Kerala style. If enjoying some down time from the bustle of the city is what you need, Alleppey is just the place for you. Located on the Idukki – Kottayam border,vagamon is an enchanting little hill station complete with religious mysticism and European legacy. The cool mountain air and the green grassy hills everywhere you look will no doubt mesmerize you. 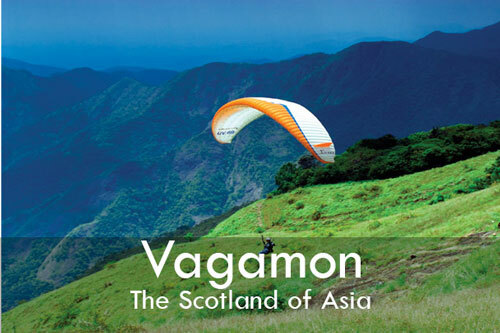 Away from the buzzing tourist crowd at 1100 meters above sea level, Vagamon is the perfect offbeat hill station to unwind. The place not only offers picturesque pine forests, story book meadows and beautiful waterfalls, it is also one of the few paragliding hotspots in the country. The capital and largest city in Kerala, Trivandrum also known as Thiruvananthapuram is a major tourist hub in South India. The district offers a vast variety not only in terms of terrain in the form of hill stations, backwaters, beaches and lagoons but also in its historical and socio- cultural diversity. Kovalam and Varkala are beach towns in Trivandrum and have their strong place in the tourism map of the country. Sri Padmanabhaswamy temple is also situated here which is the richest temple in the world. The Kanakakunnu palace, Neyyar Dam and wildlife sanctuary, The Napier Museum, Sri Chitra Art gallery, Agasthyamala peak, Poovar island, Shanghumukham beach etc are some of the other attractions of Trivandrum. 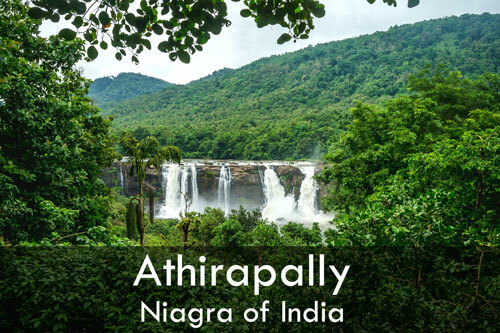 Located near Chalakudy, Athirappilly is a village famous for the Athirappilly waterfalls. It is situated at 1000 feet above sea level on the Chalakudy river,with the falls itself of a height of 80 feet. Nicknamed the Niagara of India, these are the largest waterfalls in Kerala. Just 5kms away from from Athirappilly waterfalls are the Vazhachal waterfalls. Popular among tourists, the surrounding Sholayar ranges of Western Ghats are home to a variety of endangered and endemic species of flora and fauna including, Asiatic elephants, bison, tiger, leopard, sambar etc. The delightful hill station of Nelliyampathy is situated 60 kms from Palakkad. Surrounded by tea, coffee and orange plantations, Nelliyampathy is a nature lover’s haven. These hills are at a varying height of 467 meters to 1572 meters. Pothundi dam constructed in the 19th century is a popular picnic spot with its beautiful surroundings and boating option. Seetharkundu view point is another attraction.it is believed that Lord Ram, Lakshman and Seetha Devi rested at this place while on exile. Padagiri, Raja cliff, Keshavan para etc are some of the many attractions of these enchanting forest regions. 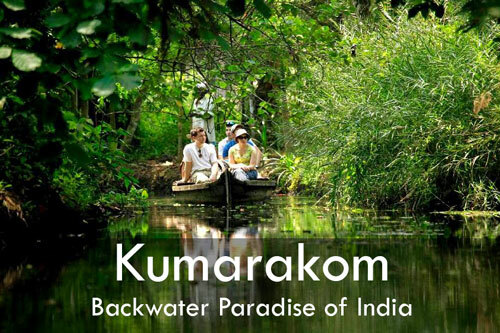 Situated in the enchanting backdrop of Vembanad Lake, Kerala’s largest lake, Kumarakom is a nature lover’s paradise. Home to one of the most noted bird sanctuaries in Kerala, the Kumarakom Bird Sanctuary, spread over an area of 14 acres is a major attraction here. Local birds like waterfowl, cuckoo, owl, egret, heron, cormorant, moorhen, darter, and brahminy kite, as well as the migratory Siberian crane. Parrot, teal, lark, flycatcher, and other birds are seen here during their respective migratory seasons. Listed as one of the must see places in a lifetime by National Geographic Magazine,Kumarakom has a wide variety of house boats and is known for its house boat experience throughout the world. 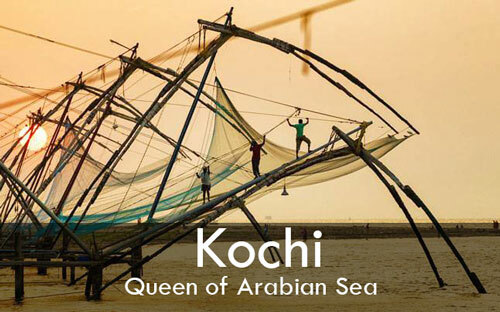 Kochi also known as Cochin is the urban face of Kerala. This coastal cosmopolitan city on the shores of the Arabian and Laccadive Sea is part of Ernakulam district of Kerala. Famously known as the Queen of Arabian Sea, it was once an important spice trading centre on the west coast of India. Ranking first in the total number of international and domestic tourist arrivals in Kerala, it is a land of an amazing blend of Chinese, Portuguese and British influences. Visiting the historical towns of Fort Kochi and Mattancherry, relishing the undeniable remnants of the colonial past will be an experience in itself. The Jewish Synagogue, Santa Cruz Basilica, Vasco House, Dutch Palace, Pallippuram Fort etc are only few of the many places one must not miss in Kochi. Varkala, situated in the outskirts of Trivandrum town is a calm and peaceful hamlet with several tourist attractions including the Varkala beach, the 2000- year old Vishnu temple and the Sivagiri Mutt ashram. 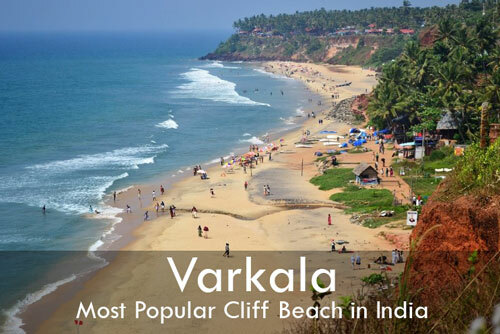 Varkala beach or the Papanasham beach is believed to have holy powers and a dip in its waters are said to wash away all sins in one’s life. It is the only place in Kerala where cliffs are found adjacent to the Arabian Sea. The beach is ideal for sun bathing and swimming and attracts a number of religious visitors as well as tourists. This destination is fast becoming an ayurvedic resort location of Kerala since a number of international tourists arrive here seeking traditional ayurvedic massages and treatments. 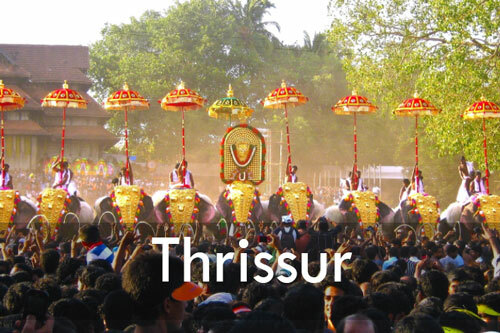 Known as the cultural capital of Kerala due to its rich cultural heritage and archaeological wealth, Thrissur is renowned for not just the Thrissur Pooram but also the number of tourist attractions of the district. The historic, political and religious leanings of the district are evident through various monuments and museums in Thrissur. 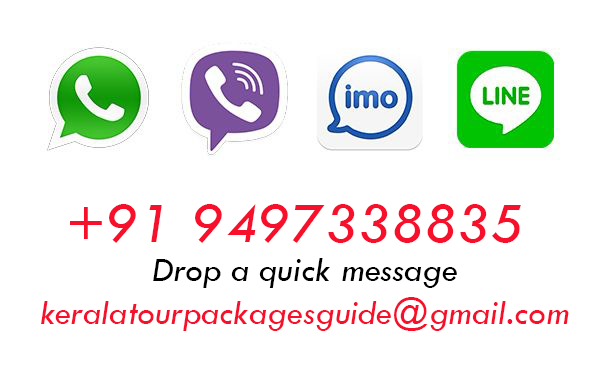 The shakthan thampuran palace, kodungalloor kovilakam, vilangan hills, Thrissur kole wetlands, archaeological and arts museum, zoo, bible tower, Guruvayoor temple, Vadakkunnathan temple, chettuva backwaters, athirappilly falls, chimmony wildlife sanctuary etc are just some of Thrissur’s many attractions. Nestled among the mountains of the Western Ghats and the borders of Tamilnadu and Kerala is a picturesque plateau at a height of 700 to 2100 meters above sea level. Known worldwide for its pristine natural beauty, the name Wayanad is believed to have been derived from the word “vayalnadu” meaning the land of paddy fields. Nature has abundantly blesses this part of the state with mist covered mountains and verdant valleys. The Chembra peak, Neelimala, Meenmutty waterfalls, Banasurasagar dam, Edakkal caves, Kuruva islands, Pakshippathalam, Muthanga wildlife sanctuary etc. are justsome of what thisland has to offer.